Facebook has seemingly had an endless string of PR nightmares for a while now. From the Cambridge Analytica scandal to numerous other incidents that affect user privacy; Facebook has drawn the ire of its users and privacy advocates for quite some time. While a great deal of these issues appear to have been deliberate, the most recent issue does not appear to be. The issue being referenced is a flaw in Facebook’s photo API that allowed a large number of private photos to be exposed to third-party applications between September 13 and September 25. When someone gives permission for an app to access their photos on Facebook, we usually only grant the app access to photos people share on their timeline. In this case, the bug potentially gave developers access to other photos, such as those shared on Marketplace or Facebook Stories. The bug also impacted photos that people uploaded to Facebook but chose not to post. For example, if someone uploads a photo to Facebook but doesn’t finish posting it - maybe because they’ve lost reception or walked into a meeting - we store a copy of that photo for three days so the person has it when they come back to the app to complete their post. The post further revealed that the full extent of damage done to user privacy was potentially massive. According to Bar, 6.8 million users were affected due to 1,500 apps built by 876 developers having access. The apology issued in the statement rings hollow considering Facebook’s constant privacy violations since its inception. Users in the comment section of the statement also expressed a palpable frustration. 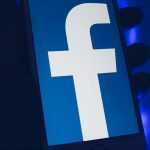 Many called for a full list of photos that may have been affected by the breach, while others called for Facebook to face litigation (which they have for other violations). While as a cybersecurity professional and privacy advocate I have always been suspicious of social media, I also understand that many will use it extensively. No person should need to fear that their privacy will be violated when terms and conditions of a website (which are legally binding) promise protection from such violations. Facebook, you blew it once again. Congratulations!